Forget what the real stats say: Nova Scotia's biggest export is its people. For centuries, underemployed Maritimers have headed west in search of work. But not Joel Plaskett. The unofficial mayor of Halifax (even though he lives across the harbour, in nearby Dartmouth), the scrawny Thrush Hermit star-turned-solo singer-songwriter has been a champion of regionalism when most of his friends, as he sang in "Work Out Fine," were moving away to Montreal or Toronto. For nearly three decades, Plaskett has been a beacon of hope for musicians on the East coast, a shining example of how to make it on your own terms. He's also a reminder of home for the thousands of expats who fill his shows across the country. That's not lost on Josh O'Kane, a reporter for The Globe and Mail and former freelancer (who was, full disclosure, formerly published here in Exclaim!, among other publications). Like his fellow Maritimers, O'Kane left his home in Saint John, NB for greener pastures. 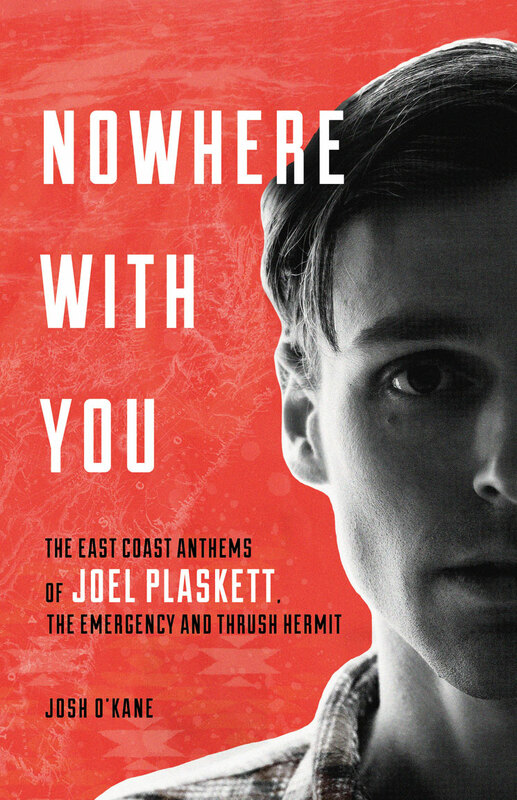 From a factual standpoint, O'Kane's new book, Nowhere With You: The East Coast Anthems of Joel Plaskett, the Emergency and Thrush Hermit, is an exemplary rock'n'roll biography, perfectly tracing the timeline of Plaskett's rise up the ranks of Canadiana while also offering up enough unknown tidbits to surprise even the most well-informed supporters and historians of East coast indie rock. But where it really excels is in O'Kane's own insights — with support from former Maritimers, most of them living in Toronto, who helped grow the Canadian music scene — into why so many move away, and why Plaskett decided to stay.